Carnival Maritime GmbH has announced that Dr Hermann J. Klein has been appointed as its new Managing Director, starting September 1st, 2018. Klein is currently Managing Director and Group COO of CPO Holding (Offen Group) in Hamburg, Germany. 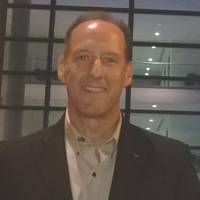 He will be succeeding Lars Ljoen, who will join Carnival Cruise Lines in Miami, USA, as Head of Marine Operations. Carnival Maritime is the marine service unit for Costa Group with its brands AIDA Cruises, Costa Cruises, and Costa Asia. “Hermann Klein is a long-standing, well recognized executive of the maritime industry and has the perfect background and profound marine experience to further drive innovation and operational excellence across our fleet,” said Michael Thamm, Group CEO, Costa Group and Carnival Asia. 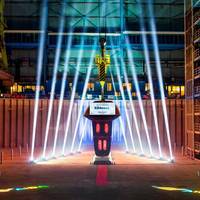 Italian shipbuilder Fincantieri hosted a float-out ceremony for a new cruise ship under construction for Carnival Corporation’s Italian brand Costa Cruises. The new ship, Costa Venezia, is Costa’s first ship designed and built specifically for the Chinese market.“As our first ship built specifically for the Chinese market, Costa Venezia marks a new era not just for Costa Cruises and Fincantieri but for the Chinese cruise industry as a whole,” said Mario Zanetti, president of Costa Group Asia. 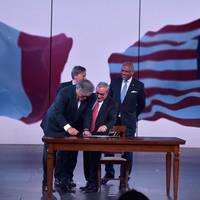 Costa Group – part of Carnival Corporation & plc, the world’s largest cruise company – announced that its new generation ships, the first LNG powered at sea, will call Marseille in 2019. The Costa Group, the leading tourism group, the No. 1 cruiser in Europe has renovated its commitment to Port of Marseille through different initiatives that began in 1996 when the new cruise called “La Dolce Vita” started its weekly operations from Marseille to offer the French guests every Saturday a brand new and unique experience in the best places of the Mediterranean onboard its ship Costa Romantica. 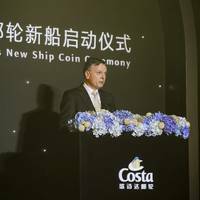 Carnival Corporation’s Italian brand Costa Cruises held a coin ceremony for its newest ship, Costa Venezia, which is being built to service the Chinese market from 2019. 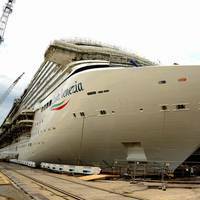 The new 135,500-ton cruise liner is being built by Italy-based shipbuilder Fincantieri, and is the first Vista-class ship specifically designed and built for China. Michael Thamm, CEO of Costa Group and Carnival Asia, said, “The Costa Venezia demonstrates our strong commitment and confidence in the world’s fastest growing cruise market. Voices: John Haeflinger, Carnival Corp. While the cruise industry grows globally in earnest, this maritime niche is under the microscope like no other, operating high profile, high design billion dollar ships in and out of some of the most pristine places on the planet. Tasked to keep the company’s ships running efficiently and environmentally sound is John Haeflinger, VP of maritime policy and analysis, who directly oversees the sustainability team at Carnival Corp. Haeflinger shares with Maritime Reporter & Engineering News his insights on the tech and technique to keep today and tomorrow’s fleet running clean and efficient. 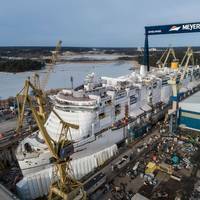 AIDA Cruises has taken delivery of the 12th vessel of its fleet, AIDAperla, from Japanese shipbuilder Mitshubishi Heavy Industries (MHI). 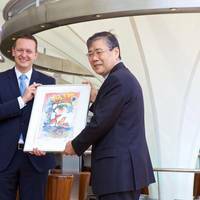 The vessel was commissioned April 27 at a ceremony in Nagasaki, Japan in the presence of Michael Thamm, CEO Costa Group; Felix Eichhorn, President AIDA Cruises; Shunichi Miyanaga, President and CEO MHI; and Kazuaki Kimura, President and CEO, Industry & Infrastructure MHI. In the coming days AIDAperla will set sail for the Mediterranean where the vessel will be christened by model and presenter Lena Gercke on June 30, 2017, in Palma de Mallorca. 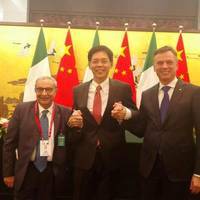 Fincantieri, China State Shipbuilding Corporation (CSSC) and Carnival Corporation & plc signed a binding Memorandum of Agreement (MoA) for the construction of two cruise ships, with an option for additional four, the first units of the kind ever built in China for the Chinese market. 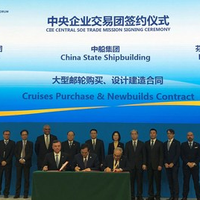 The parties signed the MoA on behalf of the joint venture between Fincantieri and CSSC Cruise Technology Development Co., Ltd (CCTD), of the joint venture between Carnival Corporation and CSSC, and of the shipyard Shanghai Waigaoqiao Shipbuilding Co., Ltd (SWS). Minas Miliaras has taken on the role of Vice President Fleet Cruise Execution at Carnival Maritime, the Marine Service Unit of the Costa Group (AIDA, Costa) in Hamburg. 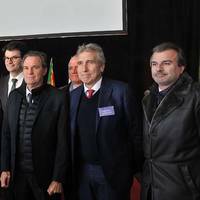 Minas will head the fleet teams and the maintenance development team for all AIDA Cruises, Costa Cruises and Costa Asia ships. He will be responsible for the fleet management of the 26 vessels according to efficiency and sustainability targets of Carnival Maritime. This includes technical management, improvement of repair efficiency, standardization and harmonizing processes as well as connecting offices and ships across the globe. Greek-born Minas is a studied naval architect, and MBA marine engineer. Before joining Carnival Maritime, he worked for Royal Caribbean & Celebrity Cruises for sixteen years. American/British owned German cruise line AIDA Cruises has launched its first marketing campaign on the Chinese market. From April 2017, with AIDAbella, AIDA Cruises will, for the first time, deploy a ship in China all year round and, in close cooperation with Costa Asia, be offering cruise vacation “Made in Germany” from Shanghai as a new product for the booming Chinese market. Michael Thamm, CEO of the Costa Group, said, “The ongoing growth of AIDA has made Germany the second biggest cruise market in the world. RINA recently awarded Carnival Maritime GmbH ISO 14001 and BS OHSAS 18001 certificates. 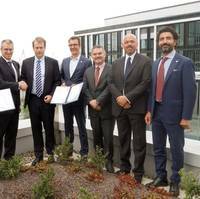 Now the Carnival Maritime office in Hamburg as well as 26 ships in Carnival Maritime’s fleet have been awarded environmental management ISO 14001 and occupational health and safety management BS OHSAS 18001 certifications. The certified fleet includes Costa and AIDA ships. Initially only ships belonging to Costa Crociere were included in RINA Services scope of work. This was then expanded to include AIDA Cruises ships, in order to incorporate best practice across both fleets. 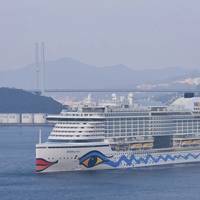 Mitsubishi Heavy Industries, Ltd. (MHI) completed delivery of the AIDAprima, the first of two large cruise ships being built for AIDA Cruises at MHI's Nagasaki Shipyard & Machinery Works. A ceremony to mark the occasion was attended by Michael Thamm, CEO of the Costa Group, and Felix Eichhorn, President of AIDA Cruises, representing the new owner, and Shunichi Miyanaga, President and CEO, and Yoichi Kujirai, Senior Executive Vice President and President/CEO of Commercial Aviation & Transportation Systems, representing MHI. 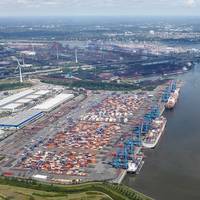 The Nautical Terminal Coordination (NTC) has expanded its portfolio to include cruise ships, now providing support for Costa and AIDA vessels when they call at the Port of Hamburg. When it arrives in Hamburg for the first time on February 27, 2016, AIDAmar will be the first cruise ship to call in Hamburg under the supervision of NTC, working in cooperation with Carnival Maritime’s fleet operations center. The cruise ship business is booming in Hamburg, with 160 visits expected in 2016. Digital support, surveillance and planning for all technical and nautical aspects of the 25 vessels of Costa Crociere, Costa Asia and AIDA fleets are implemented in real time by the Costa Group. Now assisting with these operations and risk/safety management is a new marine service unit, Carnival Maritime, which became fully operational today in Hamburg. 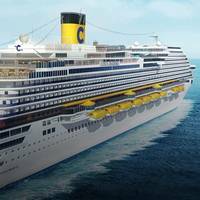 “By founding Carnival Maritime, we invested in the most elaborated technologies to create a marine operations unit that supports our captains the best possible way,” explained Michael Thamm, CEO of the Costa Group. Carnival Corporation & plc announced that Michael Ungerer, currently President of Germany-based AIDA Cruises, has been appointed Chief Operations Officer-Shared Services for Carnival Asia, effective September 1, 2015. 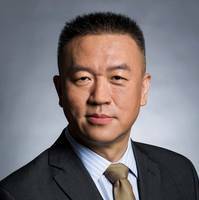 Ungerer will relocate to Shanghai, China, and directly support each of the Carnival Corporation brands operating in the region to leverage the company's industry-leading presence and scale in the region. 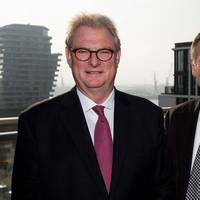 Ungerer will jointly report to Michael Thamm, CEO of the Costa Group, which includes AIDA Cruises and Costa Cruises, and to a China steering committee comprising the Carnival Corporation brands operating in the region. 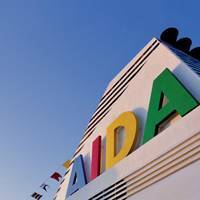 In addition, longtime AIDA senior executive Felix Eichhorn has been named president of AIDA Cruises. He will also report to Thamm.